What's the difference between weatherproof and waterproof cameras? Many of today's cameras claim to be weatherproof, which allows photographers to capture images and videos in conditions that would normally prove challenging. This isn't, however, the same as a waterproof camera, which is usually only found on a handful of more unusually designed compact cameras. Here, we explain the difference between the two terms. Compact cameras designed to be used underwater are completely sealed, with lenses that don't extend from the body and few moving external parts, together with a battery compartment that often features an additional locking mechanism to make sure it's completely closed before you take it for a swim. Waterproof compact cameras can typically be used to a depth of 12m or 20m underwater, and manufacturers will usually provide an IP (ingress protection) rating for their models, such as IP67 or IP68, which tells us the extent to which a camera is protected against dust and water ingress. The first digit relates to the former and the second to the latter, and the higher the number the better the protection. Alternatively, they may state a camera has IPX6 or IP6X protection, which tells you about the level of protection against either dust or water, rather than the two combined. The Leica X-U is a compact camera with a fixed lens, and it can be safely taken underwater without any additional protection. Leica claims it is protected to the IP68 standard. The fact that there are different IP ratings also means that it’s not simply a case of a camera either being waterproof or not. Rather, it will be waterproof to a certain degree, with respect to depth and time underwater. The same goes for dust-proofing, with an IP5X rating meaning it's protected against dust incursion, and an IP6X rating meaning it's actually dust-tight. This IP rating is not applied to DSLRs due to their design. 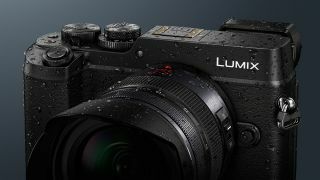 Unlike compact cameras, DSLRs cannot be taken safely underwater without some kind of housing, so manufacturers may claim they are weatherproof – or weather-resistant or weather sealed – but won't claim that they are actually waterproof. Canon, for example, claims its L-series lenses are dust-proof and drip-proof, and it uses rubber around the mount, switches and other points for additional protection. It's putty-colored lenses, most commonly associated with sports and wildlife photography, are protected straight out of the box, but its more conventional black-barelled L lenses typically have a front element that moves back and forth. Because of this, the company recommends using a filter on the front of these lenses for better protection. Canon states that its EF 17-40mm f/4L USM's ensures "excellent dust- and drip-proof performance" out of the box, but it recommends using a filter on its front to protect it fully. So what does weather-sealing actually allow? It's a somewhat wolly term, and what applies to one model may not necessarily apply to another. It's common, for example, for new models to arrive with the claim that weather sealing has been upgraded to the same level as a more senior model in the same range, the implication being that the previous model wasn't protected to quite the same extent. Typically, a weather-sealed camera will have a number of seals around any points of dust and water incursion, which protect it against rain or splashes of water (rather than immersion in a body of water). So, you should be fine in a light drizzle, but you should take care when exposing a camera to such conditions for a longer period of time. Such models will also usually be protected against freezing conditions, usually down to -10ºC, and the sealing should be able to withstand flakes of snow in the same way that it would withstand droplets of water. Bear in mind that while your camera's battery may still allow it to operate, a drop in temperature is likely to affect performance, meaning that you'll get fewer shots per charge. Obviously you should also pay attention to whatever other kit you are using at the same time. Memory cards from reputable manufacturers now typically claim to work in such conditions, but other accessories may not be as protected. Pentax has claimed many of its DSLRs are weather-sealed rather than waterproof. In this case, it means they can withstand splashes of water but they cannot be used underwater. The best way to understand exactly what your model allows is to visit the website of your camera's manufacturer and look up the product page or specification list for your particular model. Here, usually in the small print, you should be able to find more details on the extent of waterproofing or water-resistance, and possibly details on protection against freezing temperatures, shock and dust. Bear in mind that even if you find your camera doesn't offer weather-sealing of any sort, or perhaps does but not to a level you require, you'll be able to use it with a covering of some kind. These range from simple tube-like plastic covers to more elaborate options with multiple drawstring-type openings that can be tightened around your arms and the front of your camera's lens.